If you've ever read any of my blog posts… or tuned into my popular podcast channel… then you should know this. I don't buy into all the “fluff and hype” out there when it comes to Blogging and Internet marketing. Nor do I surround myself with people who don't really “walk their talk”, so to speak. Who Can You Trust and Who Delivers Results? Most people dive in the deep end and are quickly submerged with the never-ending overwhelm of trying to keep up with what to do next online. I'm here to tell you after being online for 15 years, and making more than a million dollars thanks to my blogging business, that there is always a SMART way and a HARD way to achieve success. Knowing the difference is a RARE and valuable skill to have. And that's what I want to share with you now. NOTICE: I didn't say there is an “EASY” way. Nothing is easy, but there is always a smarter path, where you are exponentially rewarded for the effort you put in. You see, for some time I've had this idea. An idea that was always in my mind because so many people suggested I do it. However I didn't for so long, until now. To conduct the best-of-the-best top-shelf expert interviews with the worlds most switched on Bloggers and Internet marketers and put them into a sequential order with one single purpose. So anyone could follow along and listen to my strategically placed set of interviews, and using action steps provided along with each interview, to finally build an online business that gives you the gift of financial freedom, the power to “Live The Laptop Lifestyle“. And not just small, part time income… no, no, no… this is about giving people the keys to break the $100,000 a year milestone, which has been shown in studies to be the income threshold that makes a big difference to your quality of life. I want to tell you why I'm convinced this is THE BEST insider club if you are serious about making a life-changing income online. Every time I disconnect the call at the end of one my expert-interviews I'm absolutely amazed at how willing these multi-millionaires are to share exactly how they build their businesses. They motivate me to work harder, to strive for more, to have bigger goals. Best of all, they give me actionable ideas that I can take away and immediately apply. That's the same experience you are going to have after listening to each interview. Seriously, I've realised that in my last 5 or 6 interviews alone, there's enough actionable steps that could easily surpass any material you get in a $2,500 money-making information product. So how am I able to pull out such valuable content when I interview these experts? Well, it's all to do with a specific question formula I use. I have a very unique style that drills straight to the good stuff quicker than a kid snapping up the free toy in a cereal box. MY SECRET: Here's my interview secret – I use a unique story telling, “Entrepreneur's Journey” formula when interviewing all my guests. Yep, that's the heart of why my interviews are always so revealing and why I can get all the step-by-step techniques from my guests. I started interviewing in 2006. Since I was just beginning my blogging journey I was intensely curious about how other people make money. That natural curiosity led me to develop a question-system that breaks down the processes behind the success. Listening to interviews is one of the big reasons why I went on to make over a million dollars from my blog. I want you to have the same advantage. Here's something that you probably know already. If you want success, surround yourself with successful people. Over and over and over again I hear the advice from people who have made big money online: You must surround yourself with people that make you better, stronger, and more committed. These people also help you directly, providing solutions to specific problems as you grow your business. Unfortunately when most people make the decision to become an entrepreneur they are not surrounded by supportive people. Worse still, you may have friends and family who follow the traditional path of lifetime wage-slave, working long hours, living for the weekends and putting their real life on hold until retirement, when they are too old to enjoy it. These people can become angry that you are attempting to live your dreams and create a business. They won't like that you are non-conforming, that you are trying to break free. They will be jealous and try to bring you down. If you only have negative people around you, your chance of success drops dramatically. You have to become a fortress of positive energy. You can't let these people get to you. My interviews are like a virtual mastermind group you can tap into any time. You have a whole team of experts available to you, who you can listen to over and over again any time you need fortification. Listen to these interviews several times a week and you will notice a difference. It's like a vitamin pill protecting you from all the nasty people who don't want you to succeed. 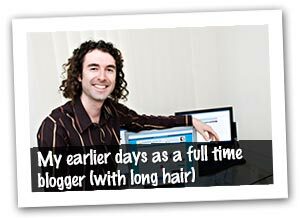 I started my first website back when I was a uni student in 1998. Those were pretty early days on the Internet so there was a lot of trial and error. Although my website wasn't huge (it was dedicated to card game called Magic: The Gathering) I was able to make some money from it. Eventually I grew bored of playing the card game and sold my Magic website for $13,000, giving me some money to invest in a new project, which was an online editing service targeted at international students for who English was a second language. After a few years my editing business was making enough for me to earn a full time income of about $50,000 a year. In January 2005 I registered the domain Entrepreneurs-Journey.com intending it to be a hobby site where I shared stories from the previous years I spent as an entrepreneur. It's funny, when you write it all out like that it sounds like I had it easy, but believe me, that's not the case! There was so much trial and error, success and failure in every one of the sites I created. I really wish I had a club like this I could have joined back then! It would have sped up my results, kept me “surrounded” by people like me, been an invaluable mindset support tool. Well, there might not have been something like it back then, but I've created it for you now! I've called it the EJ Insider and I'd like to invite you to join today. Freebie seekers can stop reading now. I'm talking to the smart people who value their time enough to invest in information that can quickly shorten their learning curve and speed up their earning potential. But before we get to that part, I want to show you what I'm talking about. When I say I've created an exclusive club filled with the very best content from my very best interviews, I mean it. Get your writing team together. How to hire people to write for your blog using a clever advertising-share model, invented by interview guest #2, Mitch Wilson. This one formula made the difference to take Mitch's Sports blog to the million dollar level. Think you have to be an expert to have a successful blog? My interview with Liz Raad (special bonus interview #8 in the series) is a must-listen because it shows how you really can begin at ground zero, no knowledge, no experience and even enter a subject area where you have no skill, yet still succeed! Like I said, that's just a snippet from the first few interviews. I've Collected EVERY Interview I Have Ever Done And Given You Access! 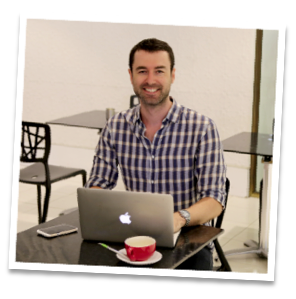 Not only do you get a brand new sequence of fresh interviews from hand-picked expert bloggers and Entrepreneurs month after month, I've also collected and collated every interview I have ever done and brought them together into the members area. There's more than 100 interviews you can access immediately — Instant download right after you sign-up — including some that have never before been available outside my premium coaching programs. Here, see what I mean. Discover the one and only true secret you need to become a financially successful blogger. Every successful blogger and entrepreneur has mastered this one simple thing. How to figure out the knack to using Facebook marketing, effectively. If you use this to your advantage, you can clean up, big time! How to effectively sell your business for $373 million. Nuff said. How anybody can become famous online! And you don't have to be a socialite or fashionista to do it. Discover what is the absolute best kind of technology to use on your membership site. This specific information is vital if you want to avoid mistakes when creating your subscription product. Why getting somebody else to invest in your business could be easier than you think! This success story takes all the guesswork out of it for you. Discover one of the most tightly kept secrets for doing online product launches. This one might surprise you. When, where and how to focus on SEO. This little “shift” will take you about 3-minutes to do… and… you will begin to see results… IMMEDIATELY. What no one will tell you: Indispensible tips when leaving the corporate world to start an online business. Find out the science behind Google Adwords..and why getting it wrong could mean the end of your site – PERMANENTLY. Discover the only thing you need to know about Copywriting. Master this one little thing… and everything else will become gravy! Why online video marketing, is one of the most powerful tools on the Internet today. DO NOT skip using this. You could be ripping yourself off in a big way. Identify the exact method you need to know for selling niche eBooks. Find out the absolute best way to blog in non-English languages. The 2 most important things you need to make a living from your blog. Trust me if you don't have these, it's going to be a very long uphill battle! 3 simple (yet highly effective) social media marketing methods! How to create a million dollars with a blog. Hear a number of different people tell you exactly how they did it. Discover the blueprint for podcasting – And ANYONE can do this! My secret for travelling with your business and working as little as 2 hours a day. You'll love this! Note: This is barely scratching the surface! It doesn't matter how inexperienced you are at blogging. The secrets shared in these interviews can be applied by anyone at any time. You don't have to be a tech whiz or a savvy businessperson. 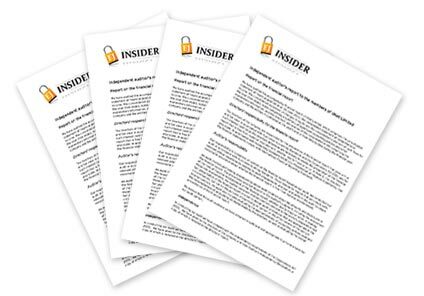 What EJ Insider Membership gives you is hundreds of years of combined, tested, proven, and super-successful marketing experience all compiled together, in one easy place. These are the very latest ground-breaking interviews. They're not available anywhere else. You MUST be an EJ Insider to hear these. I've scheduled these interviews and grouped them together to cover topics that I consider the most important. These aren't just random interviews thrown at you, jumping from topic to topic. Although the experts have a wide range of skills and experiences, they all excel at certain key business models, so I've attempted to thread them together for you. For example, we start with the million dollar bloggers in month one, then move to the million dollar email marketers in month two. Month three covers the guys who have built empires of multiple sites using the one formula that keeps working for them. Don't want to wait and prefer to download everything at once? That's fine — you can download any of the brand new interviews immediately, or wait for the emails from me and go through at the pace I set for you. It is up to you. And remember… these are brand new interviews (with all original content). Some people prefer to read. I get this. That's why I provide professional transcripts for every exclusive interview. These aren't cheap transcriptions done by people in countries where English is not the first language. I paid extra to have them edited for ease of reading by professional transcribers in the USA. You will also find show notes for each interview, broken down with time stamps. This allows you to easily refer back to the interviews and find the exact point where each topic was discussed. This comes in handy when you need to find that gold nugget piece of advice but you can't remember when it was talked about. After conducting each interview, I go back and listen to them again. I extract what I believe are the most important points for you to replicate and gain leverage from. I then compile this information into a short report, five to ten pages long, with five action steps. You receive one of these action plans every month, covering the previous two interviews, delivered straight to your inbox in PDF format. The action steps are VITAL. This is how you get a return on your investment for your membership in the EJ Insider. Some of the actions are simple and can be implemented in less than an hour. Others you might need to adjust your entire business strategy to include. You can cherry pick what you need. I can promise you that the action plans cover the KEY LEVERAGE POINTS. This is what makes the person I interviewed so successful. It's the secret-sauce, the 80/20 activity, the stepping stone towards a million dollar business. This is REAL VALUE — these action plans are worth much more than the price of admission to the EJ Insider. If you like being shown the exact steps to cut away the confusion, the EJ Insider Action Plans are exactly what you have been looking for. Plus since I wrote them, you know what to expect. They are Yaro-Certified (that means if you like my writing style, which people have told me is very clear and easy to follow, then you will love the Action Plans). I recorded a few extra special interviews that didn't exactly fit in with my strategic sequence I set up for you, but they still contain so many gold nugget insights, I want you to have them. These feature experts you will know and love already, but often telling stories you have never heard before. That's the beauty of my interview formula — I take my guests back in time, exploring their history, so we can learn the real truth about how they achieved success. The devil is in the details they say, and the best details surface when you get personal. The people I interview don't realise how much they have done, and when I ask them to go back in time and explain what they did 10 and 20 years ago, it's amazing the stories that come up. Look out for these extra special interviews, available immediately in the EJ Insider members area if you can't wait. They will also pop into your email inbox as a nice surprise. …And to complement the fresh new content, when you become an EJ Insider you'll have instant access to these timeless classics from my “vault”. The priceless information contained in these interviews is not to be underestimated! The Best Action Taking, Support Tool Ever Created For Dramatically Improving Your Online Success! Access To My Entire Podcast Vault Of Over 100 Interviews And Growing! These interviews feature people making money in all kinds of different markets, using many different business models. After hearing each story you will completely understand what it takes to make each system work. I personally conduct every interview using my one-of-a-kind Entrepreneurs Journey interview formula, which enables me to extract the most compelling stories and break down the specific “how-to” information. And that means you get to hear stories people would never normally share. I use my special interviewing method to get each of my guests to reveal every secret they know for dramatically increasing response and multiplying profits. NOTE: I save my best interviews for my EJ Insider members – this is not the same level of interviews I reveal on my public blog. Consider yourself in my personal exclusive club where only the serious money-makers hang out. The perfect environment if you value your TIME and want to fast track your paydays online. And a perfect environment if you don't mind investing a small amount of money, knowing you will return your investment ten fold from just listening to one or two of the interviews. As soon as your application for membership is approved you'll receive the first new exclusive interview, plus immediate access to over 100 previous interviews from my vault, and other bonus resources (more on those below). Each interview comes in an MP3 format so you can download it straight to your computer or portable device (such as an iPhone, iPad, iPod, Android phone, laptop)… so you can take it with you on the go. Want a handy little “Speed Listening” trick to cut your learning time in half? IT TAKES 30 MINUTES TO LISTEN TO AN HOUR-LONG INTERVIEW INSTEAD! I personally listen to interviews at 3xSpeed, which is a whole lot faster than I can read. In my opinion, this is the best online education format there is today — Focused, proven information on specific techniques, given in short sessions you can listen to while exercising or traveling. And there's no encryption, so you can share the files with your friends and across multiple devices. Okay, so we've established that this is a MUST HAVE membership for anyone serious about shortcutting all the grunt work and getting nothing but the good stuff sent straight to their inbox. So… How Much Is This All Going To Cost? Less than a cup of coffee a day (and with much longer lasting value too). Or even to spend an hour with them, one on one. We're talking thousands of dollars here! But listen… because this content is worth so much more than $99, I am going to increase the price. Since this is a brand new club and my first new training product I have created in three years, I want to reward early-adopters with the best price. So it’s best to get in right now and secure your membership while it is at its very lowest price. Get specialized knowledge from subject matter experts. Don't waste your time figuring it yourself, these people have done the work for you and are sharing their experiences and mistakes so you only get what works! Learn how things really go on behind the scenes, and what actual steps people take to achieve success online. You will see these people are just like you, but they do a few key things well – and you will learn exactly what those things are. Experience a boost in motivation after every interview. This will make you more proactive because you want to follow in the footsteps of these people. Discover new systems for capturing leads, driving traffic, increasing conversion and other core components of an internet business. If you already have a business, this is a must-join club because you get access to cutting edge ideas from big thinkers. PLUS: You're guaranteed at least one golden nugget idea per interview that you can take away and immediately apply to what you are doing for massive gains. You can easily recoup the cost of the monthly membership if you take action on just one thing in each interview — And I even tell you what are the most important actions to take in the monthly action plans! Explains how he Launched his PLRPro Membership Site in Just Three Weeks! Do you want to continue plugging away at your blog, trying to make sense of the literally stadium size files of information out there? Or do you want to go straight to the source, cut out all the fluff and filler and hear the techniques and strategies straight from the mouths of the people who are reaping the rewards today? These are people I hand-selected. I don't choose just anyone, these are experts who have proven results and they use techniques that I believe are ethical and effective. For less than a dollar a day, you can have it given to you straight – “This is what I did to make a living from my blog, and here's what you need to know so you can do it too”. No added filler to overwhelm you. No workbooks to go through, no DVDs to watch – just the information you need. BAM. There. When you think about it, it's a pretty easy decision to make. That's enough from me, you know the details now. If you want to hear more, watch the video at the top of this page where I explain what is in the program. I can't wait to welcome you to EJ Insider! P.S. Being an EJ Insider means you can SKIP ALL THE TRIAL AND ERROR and research when it comes to technology and blogging techniques… and just copy what the experts on these interviews use! You continue bringing so much value to your listeners. I created my blog five months ago and you have been part of that inspiration. You might not know who I am, but one year from now, I hope to come back to you to thank you for inspiring my success. I love your podcasts, Yaro! One of the things I really like is that you “lead” your interviews, like a dance. You keep things on track and key messages are clear. You also have a great way of speaking: excellent pace, neutral accent, and overall this pleasant, relaxed, and positive way. Seriously, listening to you is like music to the ears. Yaro takes genuine interest in your business, and endeavours to provide you with as much knowledge as possible in order to help you grow your business. It’s obvious he has many years of experience in the very crucial elements of internet marketing. Yaro has helped me learn actions and steps to multiply my subscriber rate, which could mean the difference between 15k or 30k subscribers this year. I recently discovered your podcast, and I am enjoying listening to you and all of the guests you have interviewed. It's great to hear people like yourself and your guests have such enthusiasm, and speak about topics and situations that only people like myself would consider when running your own business and the roller coaster ride that this entails. Keep up the good work and thank you very much. Yaro is an expert in converting ideas into internet businesses, I found his advice extremely valuable and now have crystallised my direction for my online business. Yaro is an excellent coach who helped lead me out of chaos to clarity in just one hour. He exudes integrity and instills confidence. I now feel that I have the focus and direction that I needed having wallowed in overwhelm and too much to do for far too long. I commend Yaro wholeheartedly and you should let yourself be guided by his masterful net-mind as soon as you can! I love your podcasts Yaro! I even listen to them while I am working sometimes, and it really motivates and inspires me. Thanks! I am an avid listener to your podcasts, I think I have every one. I would like to express my gratitude to you (and all your amazing interviewees). Many thanks, I’ll be very happy if you keep creating podcasts! Thank you, your thoughts and guidance have helped me re-focus (actually just “focus”) my direction for this year. I had too many irons in the fire and your perspective to help me find the right direction. There's a quote I like, “You can have excuses or results.” I made a decision to divest myself of all activities which don't get me closer to where I want to be. Because of your wisdom and perspective, this year I've narrowed my focus to my areas of interest and expertise: Fiction story and writing, movies, WordPress and SEO. That's still too many areas but it's about 100 fewer than it was. Thank you again Yaro, for helping me focus and get a grip on what's important. I just wanted to say thanks… thanks… thanks. I listen to all your podcasts. You have really inspired me and at last I have created my ebook and put it on Amazon, I've even put you on as a case study. Thanks for the advice Yaro. I always enjoy your interviews, and count you as one of my inspirational figures.